You may have noticed a large number of white butterflies flying around the woods and fields in our area—or even around your own garden. These are Cabbage Whites, the most common butterfly in North America. There seems to be more of them this year than usual. Our Nature Guide Jon Latimer tells us why this is a great year for butterflies. 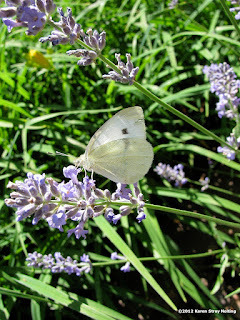 "Cabbage Whites, Pieris rapae, survive through winter as a chrysalis, but there are always losses due to severe weather. This year, however, a mild winter and a warm and wet spring have combined to make ideal weather for butterflies in New Jersey. Our weather has also promoted the growth of the flowers adult Cabbage Whites feed on, including dandelions, Red Cover, asters and Purple Loosestrife. This is all a perfect recipe for a Cabbage White population boom. "Cabbage Whites were introduced to America from Europe around 1860. They spread quickly and are now found nearly everywhere in the world. Their white wings make them difficult to miss. If you look closely, you will see a black tip on the upper side of their wings. You may also notice black spots near the center of the top surface of their wings. Males have one black spot, females have two. The underside of their wings is yellow-green or gray-green. 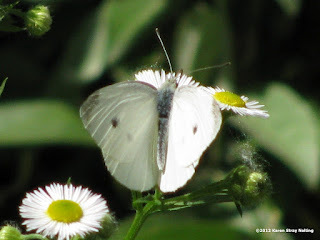 "Cabbage Whites are one of the first butterflies to be seen in spring and one of the last to be seen in fall. Males tend to stay in one area and patrol for females. They may even fly up to you if you pass by, seeming to check you out. Sometimes two or more butterflies will rapidly circle each other, which is part of their mating behavior. 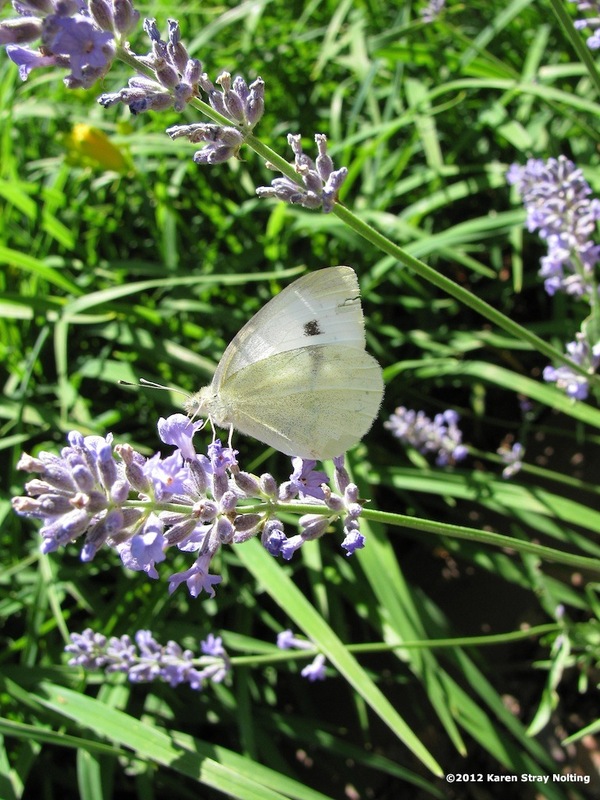 After mating, a female Cabbage White lays single eggs on the undersides of leaves of a "host plant." Host plants are plants that the caterpillars will feed on after the eggs hatch, such as cabbage, cauliflower or nasturtium. A caterpillar will shed its skin five times before it turns into a chrysalis. The chrysalis hibernates through winter and hatches into an adult butterfly the next spring."